The above quote exemplifies its reality in one of the most important milestone in my life. 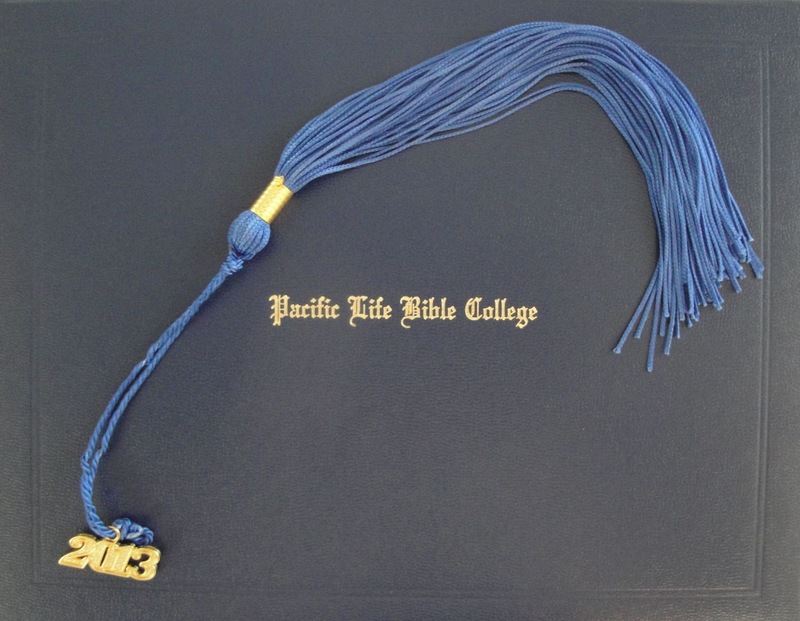 April 21, 2013 marked the day that I’ve graduated from Pacific Life Bible College with a Bachelor of Theology degree, through Distance Education, after eight years of part-time study. Additionally, receiving a “High Honors” award, which is an added blessing from the Lord, made the event momentous. I truly thank God for these accomplishments. 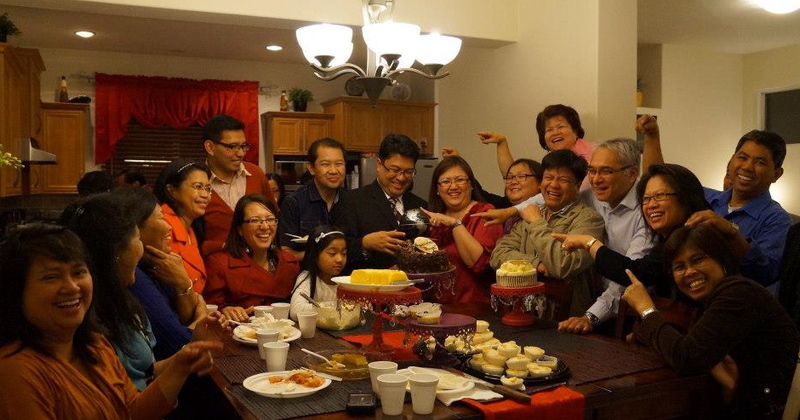 The presence of my family, friends, loved ones and the JRAM family made it even more meaningful and unforgettable. This journey was not an easy one. 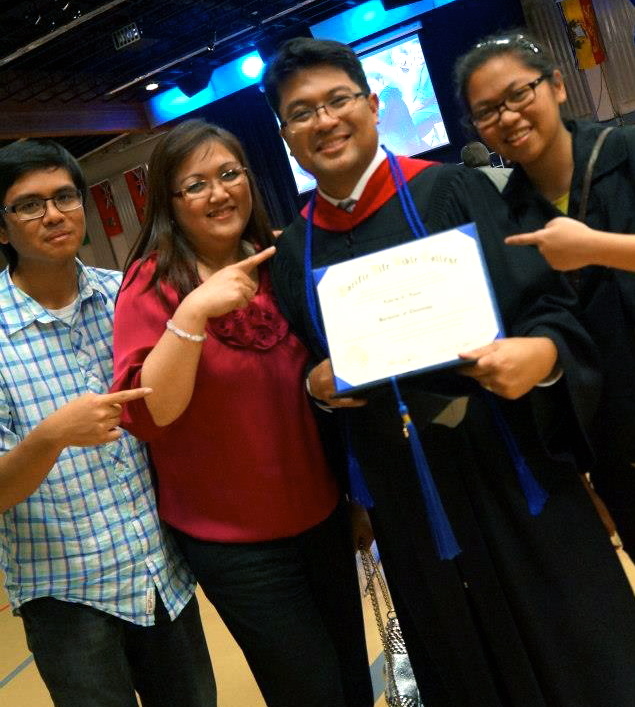 In retrospect, it started when my wife and I discussed the prospect that I needed I was convinced that since I wasn’t able to complete my Engineering degree in the Philippines, due to our family’s migration to Canada, I needed to pursue this goal. 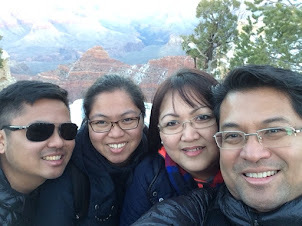 However, after two years of our arrival in Canada, I was given the opportunity to do pastoral work and my educational goal was shelved temporarily. 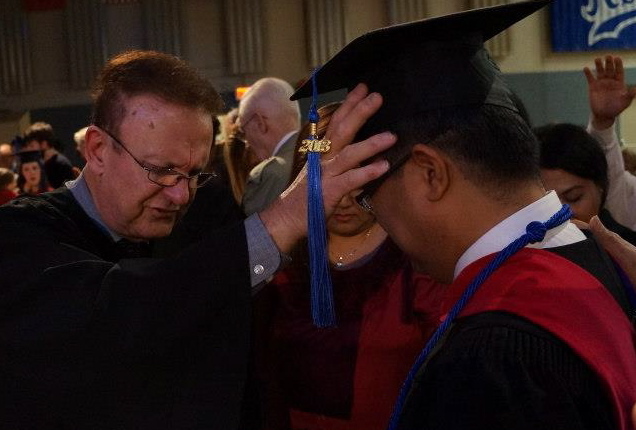 Being involved in pastoral ministry for the past twenty-one (21) years and saw God’s work growing and expanding, I began to see the value of attaining higher education for the benefit of the people God has allowed me to lead. 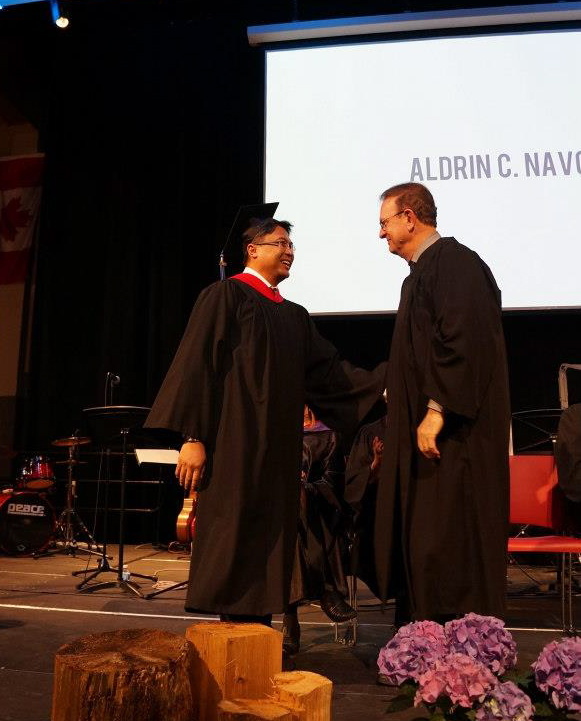 Along the way, I personally realized that having a degree would allow me to represent myself, God, His ministry and His people to diverse groups and levels of people wherever the Lord leads me. In addition, I have also recognized that pastoral ministry experience coupled with formal education is essential to a fruitful and meaningful ministry service. 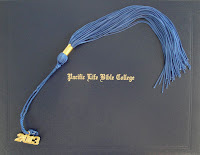 to go back to school to acquire a bachelor’s degree. Juggling various ministry duties with frequent travelling, family responsibilities and other various commitments permitted me to take only two subjects at the most per year. Providentially, I was able to complete eight courses last year and I was able to submit the last course required last December 2012. Altogether, those eight years produced complementary experiences and long-term growth in my personal and spiritual life. It provided myself a strong bearing and foundation of “doing” ministry and “being” in ministry as God’s servant and as a Pastor. 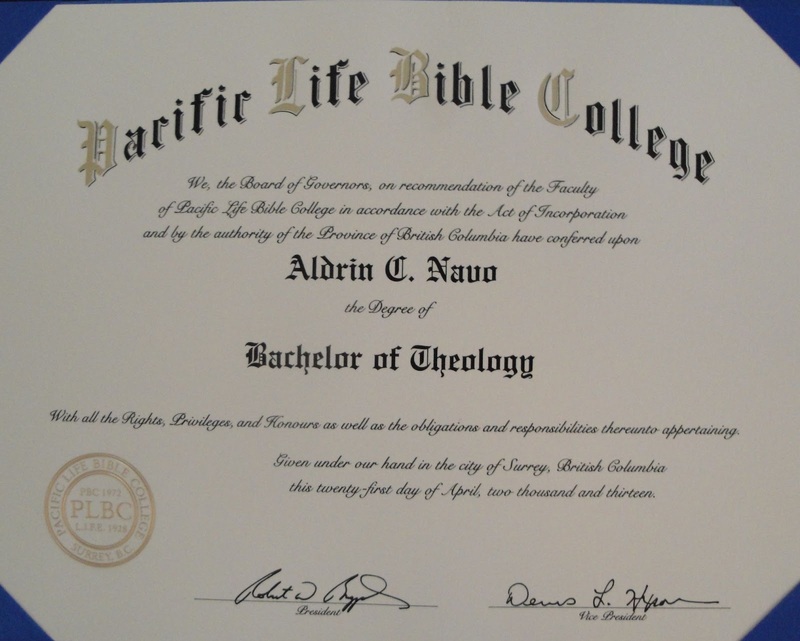 With this, I can honestly say that everything I have learned from Pacific Life Bible College gave me confidence, credibility and consistency to name a few. Looking back, it was perseverance that helped me to complete every course, thus, I thank God for the grace He gave me to pursue my goal in spite of many challenges, completing one course after another. for B.TH) praying for me. After all is said and done, there were many that stood beside me through the “thick and thin” and the “ups and downs” of my life. 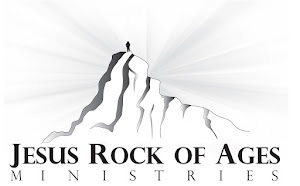 With this in mind, I acknowledge with much gratitude the Jesus Rock of Ages Ministries’ pastors, leaders, workers and members that cheered me up and supported me in prayer. Most importantly, I share these achievements with my wife, Monette, and my children, Jappy and Alyssa, who influenced, inspired and supported me in this journey. I also acknowledged the support and involvement of my parents, in-laws, and siblings, together with their spouses and children, and every individual and friends that God has brought and used in my life to inspire me to serve God more excellently and fruitfully. My heart is filled with abundant thanksgiving for your steadfast support and partnership. 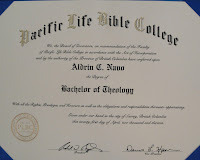 Lastly, I thank God for PLBC together with its faculty and staff for providing me the opportunity of fulfilling my educational goal. You are all a part of this achievement and may the Lord bless you greatly.